I'm super excited. I've got a special giveaway for one of my amazing readers. 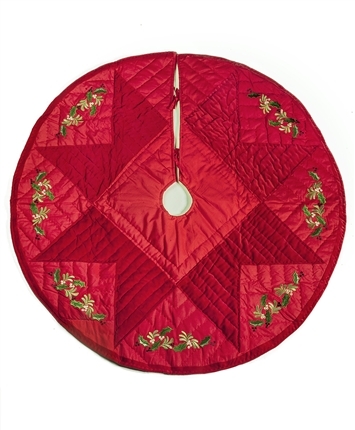 I've partnered with Tree Classics to bring one lucky reader a beautiful 45" quilted tree skirt. 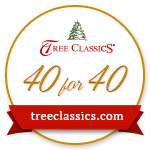 Tree Classics is celebrating 40 years and in the spirit of giving they are partnering with bloggers to giveaway some of their great products. Tree Classics was founded in 1976. They were the first online retailer of artificial Christmas trees. A fact I found interesting was that they were the first to offer pre-lit Christmas trees. Their company has grown over the years and they now offer lots of holiday accessories such as wreaths, garlands, ornaments, tree skirts, lights, and more. As I perused their site, I was impressed with the quality and beauty of their products. For the giveaway, I was able to choose from a few options and I just loved this tree skirt. I hope you do too. Here's a closer look at the details. I love the simple elegance of this tree skirt. The giveaway is over. 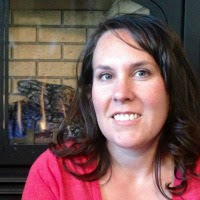 The winner is Kathy E.
I love the Cozy Knit Snowflake Christmas Stocking! I like the 10 inch Amazing Grace Angel Tree Topper! This white Christmas tree is beautiful!!! Love the snow bird ornaments! I like the Hyde Park pine Snap tree the best. I really like the whole idea of theese snap trees for easy storage, set up, and take down. I love their Holiday Heirloom Ornament Set. What a beautiful tree skirt! I visited Tree Classics and really like the 42" Alpine Grand Fir Wreath with lights. It would look great over our garage! They have lots of beautiful things, but I especially like the Silver Bells Silver Christmas Tree. 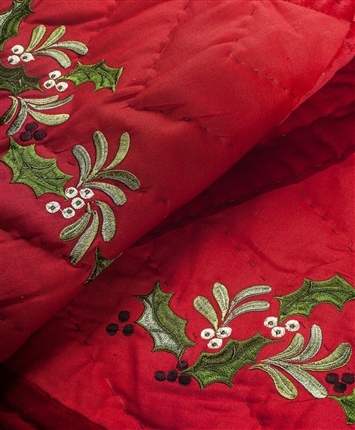 Absolutely gorgeous tree skirt! Thanks for the opportunity to win it! Tree Classics Alpine White tree is amazing! I love the Classic Fir Tree! Its perfect for my living room!